10/08/13 -- MrsN#3 persuaded me to go for a his & hers massage yesterday. What a strange experience that was. My "bird" - I can't spell her name, but it was pronounced "Eye Ooh" was a lovely little Balinese girl of about 20. It is very odd being told by a good looking 20 year old Balinese girl to take all your clothes off, especially with MrsN#3 in such close proximity. She very demurely covered her eyes with a towel, a thing the size of a tea towel, as she asked me to hop "au naturel" onto the massage table, with me thinking "you're going to need a bigger towel than that darling" in my usual non-sexist way. So ever happy to oblige, I'm up on the table, face down to start with, we might as well get the boring bits out of the way first I think, and off she goes young EyeOoh. No sooner than you can say "Aye up EyeOoh" than she's folded the tea towel so that it now resembles a rolled up napkin, and places it (gently but firmly) between the old bum cheeks. I kid you not. There's me lying on a table with MrsN#3 about 4 feet way, similarly attired, with a 20 year old Balinese girl rubbing oil all over me. Bum cheeks and all. Blimey I think, if only the lads could see me now. Followed by wouldn't it be embarrassing if there was a "brown blemish" on that towel when she turns me over to do the other side. I'd been warned before we went in not to fall asleep and start snoring. There was no need to worry about that, falling asleep was not on my agenda. So, after about ten or fifteen minutes EyeOoh says "will you turn over now please sir", it would be rude not to wouldn't it EyeOoh I reply. Miss Bali swiftly unrolls the tea towel and places it lightly in the obvious place, then skips over to the nearby table (she's probably gone to refill the oil bucket I assume - but no) and comes back with a blindfold! My first thought is blimey, I wonder if she's got some handcuffs in there as well, swiftly followed by what you mean I can't look at you whilst you're "doing it"? I glance across at MrsN#3, can't I at least look at her having her top half massaged if I promise not to look at you EyeOoh I think. But no, she puts the blindfold on. Me that is, not her. Seconds out, round two. Tea towel rolled up a la napkin style, with me thinking this could get interesting. What happens if I accidentally "tumble out" of said tea towel. Will she simply pick it up and pop it back in? A bit like finding an unwanted sausage roll on your plate at a finger buffet? You hide it under the napkin so as not to offend your host and make it look like you've eaten everything on the plate. The massage we are having by the way is called something like Lobey Lobey. Except they've mis-spelled it on the "menu" and gone for (I am 100% serious here) Labia Labia. The "menu" says something like "to stimulate the body and heighten sexual desire" plus a bit of other stuff. So, I'm thinking, come on then EyeOoh, get to work. At one point she puts her hand in yours and you think, here we go then, until she bends it back until it snaps that is. Nothing very sexually stimulating there is there? Then she appears to have a go at pulling each of my toes off one by one. Very romantic. 09/08/13 -- Soycomplex: Funds continue to liquidate positions ahead of the USDA report on Monday. The latest Commitment of Traders report shows managed money decreased their net long position in soybeans by 31,910 contracts to leave them net long only 45,580 lots as of Tuesday night. Many still believe that the USDA's Chinese soybean import demand estimate of 69 MMT is overstated, given that it’s 10 MMT higher than in 2012/13. Whilst China's July imports were a record, imports for the first 7 months of the year total 34.69 MMT as compared to 34.92 MMT for the same period last year. Any downwards reduction in Chinese demand by the USDA on Monday would have a direct effect on world 2013/14 ending stocks. These are forecast by the trade to come in at around 73.5-74.0 MMT, which would be up sharply on the 61.4 MMT forecast for 2012/13 world soybean ending stocks. Lanworth Inc estimated the 2013 US soybean crop at 3.32 billion bushels versus a previous estimate of 3.31 billion. The average trade guess for Monday from the USDA is 3.338 billion bushels, from within a range of estimates of 3.22-3.40 billion. The USDA's July estimate was 3.42 billion and the 2012 US bean crop was 3.015 billion. For 2013 US soybean yields the average trade estimate is 43.472 bu/acre, from within a range of estimates of 42.0-44.4 bu/acre. The USDA July estimate was 44.5 bu/acre and the 2012 US soybean yield was 39.6 bu/acre. Aug 13 Soybeans closed at USD13.40 3/4, down 15 cents; Nov 13 Soybeans closed at USD11.82 1/4, down 2 cents; Aug 13 Soybean Meal closed at USD420.50, down USD2.00; Aug 13 Soybean Oil closed at 41.40, down 25 points. For the week that puts front month beans 9 3/4 cents higher with meal up USD8.40 and oil down 98 points. Corn: The prospect of a bumper 14 billion bushel plus 2013 US corn harvest sees funds apparently comfortable not just sitting on a record large short position in CBOT corn, but adding to it. The latest Commitment of Traders report shows managed money increasing their net short position in corn by 4,983 contracts for the week through to Tuesday night. That brings their total net short position to 113,072 contracts - the largest on record since the report was first issued in 2006. CNGOIC estimated China’s 2013/14 corn imports at 5.5 MMT versus 2012/13 corn imports of 2.7 MMT. The USDA currently predict Chinese 2013/14 corn imports of 7 MMT. CNGOIC said China has already bought about 4.0 MMT of US corn for 2013/14 delivery. Anacer said Italy had imported 1.542 MMT of corn between Jan-May versus 985,651 MT a year previously. Lanworth Inc estimated the 2013 US corn crop at 14.06 billion bushels versus a previous estimate of 14.0 billion. They now have yields estimated at 159.1 bu/acre versus a previous estimate of 158.5 bu/acre. The average trade guess for Monday from the USDA puts the US corn crop at 13.98 billion bushels, from within a range of estimates of 13.485–14.269 billion. The USDA's July estimate was 13.95 billion and the 2012 crop was 10.78 billion. A crop of 13.98 billion would therefore be a near 30% increase on last year. For US corn yields the average trade estimate is 157.72 bu/acre, from within a range of estimates of 154.0-161.2 bu/acre. The USDA July estimate was 156.5 bu/acre and 2012 yields were 123.4 bu/acre. The trade expects 2012/13 world ending stocks at around 124 MMT, rising to around 151 MMT in 2013/14. Sep 13 Corn closed at USD4.65 3/4, down 7 3/4 cents; Dec 13 Corn closed at USD4.53 1/4, down 6 1/2 cents. For the week Sep 13 fell 10 1/4 cents, with new crop Dec 13 down 10 1/2 cents to a new more than 2 1/2 year low. Wheat: With corn and soybeans falling out of bed, wheat was also dragged lower. The latest Commitment of Traders report shows managed money increasing their net short position in Chicago wheat by 6,567 contracts, bringing their total net short position to 47,335 lots. 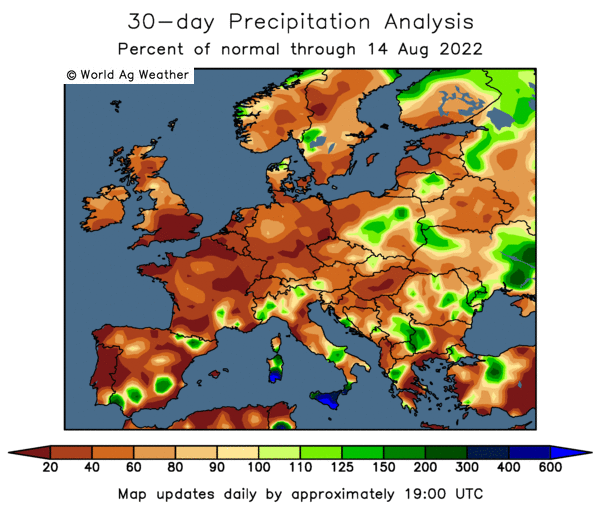 Many Eastern European nations such as Romania, Bulgaria and Hungary are forecasting if not record, then at least bumper wheat production this year. Output from Russia, Ukraine and Kazakhstan is also expected to deliver a sharp rebound versus production in 2012. CNGOIC estimated China’s 2013/14 wheat imports at 6.5 MMT versus a previous estimate of 5.0 MMT, although below the USDA's current forecast of 8.5 MMT. Some private estimates are 10 MMT or even higher. Lanworth Inc have the 2013/14 global wheat crop estimated at 692.0 MMT versus a previous estimate of 694.0 MMT. The Buenos Aires Grains Exchange left its forecast for the Argentine wheat area unchanged from a week ago at 3.9 million hectares. That's slightly higher than the 3.8 million that the Rosario Exchange said earlier in the week. Plantings last year were 3.6 million ha. The Buenos Aires Grains Exchange said that planting is 97.9% complete versus 95.3% a week ago and added that plantings should be completed in the next 10 days. Trade forecasts for the 2013 US all wheat crop average 2.112 billion bushels, from within a range of estimates of 2.025-2.148 billion. The USDA's July estimate was 2.113 billion and 2012 US all wheat crop was 2.269 billion. World 2013/14 wheat ending stocks have an average estimate 171.838 MMT, from within a fairly wide range of estimates of 168.0-181.11 MMT. That's little changed from the USDA's July estimate 172.38 MMT. Sep 13 CBOT Wheat closed at USD6.33 1/2, down 7 3/4 cents; Sep 13 KCBT Wheat closed at USD6.97 1/4, down 4 3/4 cents; Sep 13 MGEX Wheat closed at USD7.32, down 1 1/2 cents. For the week that puts CBOT wheat 27 cents lower, with KCBT down 9 1/2 cents and MGEX losing 9 1/4 cents. 09/08/13 -- EU grains closed mostly lower, with front month Nov 13 London wheat now down for seven straight sessions setting more than one year lows in the process. London wheat closed with Nov 13 GBP0.75/tonne lower at GBP156.20/tonne, Jan 14 was GBP0.80/tonne easier at GBP158.20/tonne and Nov 13 Paris wheat was unchanged from yesterday's lowest front-month level since December 2011 at EUR183.00/tonne. For the week Nov 13 London wheat fell GBP6.50/tonne, with Jan 13 losing GBP5.50/tonne and Nov 13 Paris wheat shedding EUR3.50/tonne. That may sound harsh on London wheat, but note that GBP156.20 on the Nov 13 position is the equivalent of more than EUR181/tonne compared with the higher spec Paris milling wheat contract. The French Farm Ministry raised their forecast for soft wheat production there from 35.9 MMT to 36.1 MMT, a 1.7% rise on output of 35.5 MMT last year. 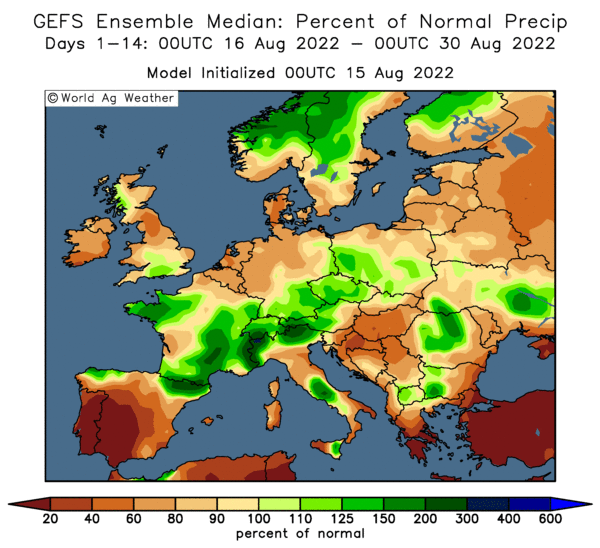 FranceAgriMer said that as of Aug 5 the French soft wheat harvest advanced from 30% done a week previously to 71% harvested, almost in line with last year's 74%. The winter barley harvest is complete and 58% of the spring barley crop has been cut, they said. Corn crop conditions held steady at 55% good/excellent, they added. France will make it's largest ever shipment of wheat to Saudi Arabia next week when the MV Shekou Sea will load around 60 TMT of soft wheat from the ports of Nantes and Montoir bound for the Middle Eastern nation. The Saudi's normally only buy hard wheat. Russia’s Ag Ministry said as of Aug 8th Russia had harvested 41.5 MMT of grain with an average yield of 2.79 MT/ha, up 28.6% versus 2.17 MT/ha a year ago. Wheat accounts for 31.6 MMT of that, with an average yield of 3.07 MT/ha, up by almost a third on year ago levels. The harvest in Kazakhstan is only just getting going, producing a little over 1 MMT so far. Early yields are said to be more than 60% up on this time a year ago. The rumblings of a month or so ago that all was not well with crops in Russia and Kazakhstan have, as yet, proved unfounded. "Russia’s Volga district has received very rainfall since mid July when a severe drought was in effect. Several Volga farm districts had declared a drought emergency, predicting grain losses up to 30%, before soaking rains developed mid month," said Martell Crop Projections. In Kazakhstan "growing conditions have improved in spring wheat and barley with frequent showers and generous rainfall the past 4-5 weeks. July rainfall was twice normal in the 3 key grain districts Kostonai, North Kazakhstan and Akmol. Producers this week said 67% of small grains were in good-excellent condition. That is a major improvement from May and June, when conditions were exceptionally cool and dry," they add. Romania's wheat crop is forecast to be up 40% on last year at a record large 7.3 MMT, which helps explain their recent successes in Egypt's tenders. Ukraine's grain harvest (excluding corn) currently stands at 31.7 MMT, including 22.3 MMT of winter wheat and 340 TMT of spring wheat. Last year's total wheat crop was less than 15.8 MMT. Ukraine could export a record volume of grain in 2013/14, making it the third largest exporter in the world, according to the local Ag Ministry. Bumper production in Eastern Europe and the FSU is rarely good news for UK growers. New crop Ukraine corn can currently be shipped into the UK at competitive prices to domestic wheat. 09/08/13 -- Yes folks, this is the view from my office window as I type right now. Royal Island in the Maldives. It's a bit like Blackpool, but without the tower, or the donkeys, or fish & chips, amusement arcades and drunken Glaswegians. And the sea is a bit of a different colour. And there's no dog pooh on the beach. 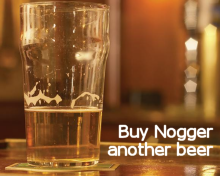 And you can't buy the Sun. The wifi works though, so I'm able to blog. Unfortunately, they appear to have the Mother and Father firewall of all firewalls in place which won't allow me to access my server (or even upload a pic to the net, the one used here is somebody else's that's already online), which is/has given me a few problems vis a vis uploading my daily market reports to the server to keep all my little content takers happy. Hopefully I've found a way around that problem, but I apologise for any interruption in service meanwhile. This place is full of all sorts, many of whom we have already given nicknames. Gunther the Munter is my particular favourite, although we also have our very own Posh & Becks. There's something VERY odd about a bloke (and I use the word loosely) who wears a skimpier swimsuit than his girlfriend/missus don't you think? We're talking an up the crack of the arse thong arrangement (for him not her). At night he seems to like a see through shirt accompanied by an equally see through pair of kecks. See through kecks? When was the last time you went into Debenhams and said "can you show me to the see through kecks department please?" These offer a tantalising glimpse of the thong pants below to keep Posh on the hook so to speak. Lovely. Posh doesn't appear to say or do a lot. Well nothing at all actually. He carries her around on his arm like a pouting Loius Vuitton inflatable doll. Gunther happily doesn't appear to possess anything see through. An enormous t-shirt emblazoned with a giant hedgehog standing on it's hind legs (yes, I kid you not, they must have been gobsmacked in the shop when they finally sold one of those) is Gunther's evening attire. Then we have the Ukraine Uphill Gardening Club. Not a team from the Whacky Races but a (very) close knit community of two rather tubby gentlemen in Adidas sports wear. They could just be mates on holiday together of course, we've all been away on a lads holiday after all have we not. The thing is I don't recall standing quite so close to my mates when in the pool as these Eastern European boys do. And they rub in the old factor 30 a little to lingeringly onto each other's backs if you ask me. Not that I'm homophobic of course, perish the thought. As long as they don't do it in the street and frighten the horses etc. Unfortunately Dirk and Yuri are doing it in the pool and frightening the fruit bats (they don't have horses here) and the little Japanese ninja kid. Then there's "the beautiful people" - she must be over 6 foot tall - and around 4 foot six of that is legs. She walks, talks, looks and acts like a catwalk model and wears very little indeed. In the evening, she dons the shortest shorts I've ever seen and plenty of upper half flesh on display too. In the daytime her bikini consists of four or five Versace shoe laces tied loosely together. Stud muffin, towers over her. He also walks, talks, looks and acts like a catwalk model. (See, they can't ALL be gay). Think Mikel Arteta (Google him if you have too) only about two foot taller. From the back he looks like a giant inversed triangle on legs. Very tight Speedo's with a half cucumber stuffed down the front. At least I think it's a cucumber. I'm not eating any cucumber whilst I'm here just in case. 08/08/13 -- Soycomplex: MDA CropCast estimated the 2013 US soybean crop at 3.215 billion bushels, up 13 million bushels from last week due to favourable conditions in much of the belt. "Rains were abundant across the southwestern Midwest, east central Plains, and northeastern Delta this past week," they said. Customs data shows that China imported a record 7.2 MMT of beans in July versus 6.93 MMT in June and up 22.7% from July 2012. Even so, China's 2013 Jan/Jul imports of 34.7 MMT are actually down slightly versus a year ago. The Ministry of Commerce (MOC) estimated China’s August bean imports at 5.309 MMT. CNGOIC estimated China’s August bean imports at 6.04 MMT, and China’s 2013/14 bean imports at a record 66.0 MMT, although 3 MMT less than the USDA's current forecast. The Chinese government didn't have an overwhelming response in today's soybean auction, selling only 18% (less than 90 TMT) of the 500 TMT on offer. Maybe the local trade considers these beans as being too old? FC Stone estimated Brazil’s 2013/14 bean crop at a record 83.28-85.57 MMT. Local estimates are in the 85-86 MMT region. Weekly US soybean export sales topped expectations of 400-800 TMT at 79,400 MT of old crop and 1,017,600 MT of new crop. Aug 13 Soybeans closed at USD13.55 3/4, up 28 cents; Nov 13 Soybeans closed at USD11.84 1/4, up 18 1/2 cents; Aug 13 Soybean Meal closed at USD422.50, up USD22.20; Aug 13 Soybean Oil closed at 41.65, up one point. Corn: Corn consolidated a little, following new crop Dec 13's slide to the lowest level for the contract since late 2010. With a USDA report coming up on Monday and funds holding a net short in corn then maybe that isn't too surprising and could be considered prudent given the USDA's capacity to spring a surprise of their own on a regular basis. Weekly export sales were 290,100 MT of old crop along with 220,900 MT of new crop, towards the lower end versus trade expectations of a combined 475-875 TMT and well below last week's 1,225,200 MT. Lanworth come out tomorrow with their final results from their Midwest crop tour. The vibe is that they could peg potential yields on the high side. MDA CropCast estimated the 2013 US corn crop at 13.825 billion bushels, up 122 million bushels from last week "due to favourable conditions in much of the region." The trade is expecting the USDA to come out with a number close to 14 billion bushels on Monday, versus 13.95 billion last month. French corn exports to non-EU destinations rose 24% to 524 TMT in 2012/13, the highest volume since the late 1990's, according to customs data. Total corn exports however were down 5% to 6.4 MMT as the rest of Europe looked to the Black Sea for cheaper supplies. CONAB estimated Brazil’s 2012/13 corn crop at 80.3 MMT versus a previous estimate of 79.1 MMT and only 77 MMT from the USDA. Sep 13 Corn closed at USD4.73 1/2, up 5 1/4 cents; Dec 13 Corn closed at USD4.59 3/4, up 1 1/2 cents. Wheat: The wheat market was mixed with little fresh news. Weekly export sales of 726,200 MT were at the top end of expectations of 500-700 TMT. The biggest buyer was Brazil (169,500 MT, including 27,000 MT switched from unknown destinations). China also featured taking 60,800 MT. Rabobank estimated Australia’s 2013/14 wheat crop at 24.15 MMT and Australia’s 2013/14 barley crop at 7.5 MMT. ANZ Banking Group only yesterday estimated the Australian wheat crop at 26.5 MMT. The USDA are currently at 25.5 MMT. MDA CropCast today released an estimate of 22.78 MMT, so there seems to be a fairly wide degree of uncertainty there at the moment. Conab estimated Brazil’s 2013/14 wheat crop at 5.6 MMT versus the USDA estimate of 5.0 MMT. The Rosario Grains Exchange estimated Argentina’s 2013/14 wheat area at 3.8 million hectares versus 3.6 million a year ago and the 3.9 million forecast by the Buenos Aires Grain Exchange. Russia was said to have exported only 1.2 MMT of wheat in the first half of 2013 versus 6.1 MMT a year previously. Exports are expected to pick up sharply in the second half of the year. Rusagrotrans pegged July grain exports at 2.4 MMT, rising to 3.0 MMT in August versus 2.06 MMT and 2.76 MMT respectively in 2012. The Indian government are said to have approved a further 2 MMT of wheat for export. However their base price of USD300/tonne looks too ambitious relative to current world prices. Sep 13 CBOT Wheat closed at USD6.41 1/4, down 2 1/4 cents; Sep 13 KCBT Wheat closed at USD7.02, up 3 cents; Sep 13 MGEX Wheat closed at USD7.33 1/2, down 2 3/4 cents. EU Wheat Mixed, Have Prices Fallen Enough For Now? 08/08/13 -- EU grains closed mixed. Harvest pressure remains, but there is also a feeling creeping in that maybe wheat prices have fallen enough for now. There has certainly been more activity on the international tender market of late, suggesting that prices at one year lows are stimulating some buying interest, even if most of the high profile business is going to Black Sea sellers. On the day Nov 13 London wheat closed GBP0.80/tonne lower at GBP156.95/tonne, and with front month Jan 13 slipping up GBP0.25/tonne to close at GBP159.00/tonne. Nov 13 Paris wheat settled EUR0.25/tonne lower at EUR183.00/tonne. Whilst the EU winter wheat harvest is only just getting going in some countries, the winter barley harvest is drawing to a close in many. The Spanish Farmers Association say that barley production there this year could rise more than 63% to 9.8 MMT. The French winter barley harvest is almost finished and spring barley cutting is well underway. ODA have raised their forecast for the overall French barley crop from 10.5 MMT to 10.9 MMT, although that's still below last year's output of 11.4 MMT. The German winter barley harvest is also nearing completion and is expected to come in at around 8 MMT versus 7 MMT last year. The all barley crop is estimated at around 10 MMT. 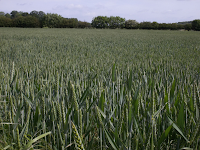 At home a UK barley crop of around 6.8 MMT is expected, up 23% on last year, thanks to a sharp increase in area. "Exports as well as additional feed demand are likely to be a key element of balancing the supply and demand given the large increase in spring plantings. Quality will determine how much can be exported to the continent," say the HGCA. Brussels issued 367 TMT of soft wheat export licenses this past week, bringing the 2013/14 marketing year to date total to 1.96 MMT. Barley export licenses were 273 TMT, bringing the 2013/14 YTD total to 1.4 MMT. French customs data for the full 2012/13 season reveals soft wheat exports up 7% to 17.1 MMT. Shipments to non-EU buyers were up 16% at 9.9 MMT. Sales within Europe fell 5% versus 2011/12. Morocco has upped its duty on soft wheat imports from 17% to 45%, essentially to more of less bring them to a halt following a huge jump in domestic production of 90% this year. Imports won't be necessary for the rest of 2013, said the government. Hungary's Farm Ministry estimated their 2013 wheat crop at 5.1 MMT, up 27.5% versus 4.0 MMT a year ago. Bulgaria's wheat crop is seen at an 8-year high of 4.7 MMT, up 7% versus last year, which should allow exports of around 2 MMT in 2013/14. 07/08/13 -- Soycomplex: The USDA reported the sale of 220,000 MT of soybeans to China for the 2013/14 marketing year. The weak dollar was supportive for US export hopes. Brazilian firm Agroconsult estimated the 2013/14 soybean crop there at a record 86 MMT, slightly higher than Celeres forecast of 85.2 MMT, and beating this year's record crop by 5.6%. There continues to be talk of this year's late planted crop being vulnerable to an early freeze. Michael Cordonnier said that late developing soybeans are at risk and that in a worst case scenario we could see yields fall to 40.0 bu/acre or lower, versus a best case scenario of yields at 43.5-44.0 bu/acre. Trade estimates for next week's USDA report have US bean yields at an average of 43.472 bu/acre, from within a range of estimates of 42.0-44.4 bu/acre. The USDA's July estimate was 44.5 bu/acre and the 2012 US yield was 39.6 bu/acre. Trade estimates for tomorrow's weekly export sales report are 400-800,000 MT for beans, and 125-275,000 MT for meal. Aug 13 Soybeans closed at USD13.27 3/4, up 3 1/2 cents; Nov 13 Soybeans closed at USD11.65 3/4, down 1 1/2 cents; Aug 13 Soybean Meal closed at USD400.30, up USD4.30; Aug 13 Soybean Oil closed at 41.64, down 47 points. Corn: Agroconsult forecast the 2013/14 Brazilian corn crop at 75.7 MMT versus the USDA's current estimate of 72.0 MMT and output of 77.0 MMT this year. Michael Cordonnier said that late planted US corn is at risk of early frost damage in the north and northwest US corn belt due to development delays. If early frosts develop in September we may see corn yield potential fall to around 150.0 bu/acre. In an "ideal situation" US corn yields will be about 160.0 bu/acre, he said. Trade estimates for Monday's USDA crop report have the US corn yield at an average of 157.72 bu/acre, from within a range of estimates of 154.0-161.2 bu/acre. The USDA's July estimate was 156.5 bu/acre and the 2012 yield was 123.4 bu/acre. Looking even further ahead, US fertiliser group CF Industries forecast 2014 US corn plantings falling from this year's 75 year high of 97.4 million acres to around 92 million, although they noted that this is historically still rather high. The weekly report from the Energy Dept showed last week's US ethanol production was up 21,000 barrels/day from last week to 853,000 bpd. Trade estimates for tomorrow's weekly export sales report are 475-875 TMT. Sep 13 Corn closed at USD4.68 1/4, down 4 cents; Dec 13 Corn closed at USD4.58 1/4, down 1 cent. Wheat: Wheat prices slipped lower on all three exchanges on ideas that US wheat is missing out on the export front to cheaper offers from Eastern Europe, the Black Sea, Australia and Canada in all but "traditional" US homes. Australian new crop wheat is now little more than a couple of months away. ANZ Banking Group estimated their wheat crop at 26.5 MMT this year, 1 MMT more than the current USDA estimate and 4.5 MMT higher than last year. Iraq bought wheat from Australia and Canada earlier in the week. The latter is also expecting a big crop this year, potentially the highest since 1991 according to Lanworth Inc. Europe is also looking at an increase in what production this year, and will be keen to market that to local homes in North Africa. There it will find tough competition from the FSU countries, who are also dominating business into the Middle East. Then we also still have India looking to offload some of it's surplus wheat left over from 3 years of bumper production in 2010, 2011 and 2012. Russia said that its intervention sales program is now over, having sold more than 3.7 MMT of mostly wheat since sales began last October. Trade estimates for tomorrow's weekly export sales report are 500-700 TMT. Sep 13 CBOT Wheat closed at USD6.43 1/2, down 7 cents; Sep 13 KCBT Wheat closed at USD6.99, down 3 cents; Sep 13 MGEX Wheat closed at USD7.36 1/4, down 3 1/4 cents. 07/08/13 -- EU grains closed mostly a little easier once more, with Nov 13 London wheat slipping further below the GBP160/tonne mark to a one year low. Nov 13 London wheat ended the day GBP1.55/tonne lower at GBP157.75/tonne and with Jan 14 also closing down GBP1.55/tonne at GBP158.75/tonne. Nov 13 Paris wheat fell EUR1.00/tonne to close at EUR183.25/tonne. Fresh news was relatively thin on the ground, but the path of least resistance continues to be downwards. That's sadly true here in the UK too, even with the anticipated sharp drop in wheat production here for a second year in a row. The "big picture" shows strong growth in production in most of the leading exporting nations around the world, with the exception of the US. This growth is led by the Eastern European and Black Sea nations, who unfortunately are frequently discount sellers, highlighted by the success once again of Ukraine and Romania in this week's Egyptian tender. A Reuters survey of analysts yesterday estimated the Russian, Ukraine, and Kazakhstan total 2013/14 wheat crop at 87.0 MMT, up 36% from last year. It's not just there where big leaps in wheat output are expected in 2013/14 however. ANZ Banking Group today estimated Australia’s 2013/14 wheat crop at 26.5 MMT, versus the current USDA estimate of 25.5 MMT and up 20% on the 2012/13 crop of 22.0 MMT. Canada meanwhile are expecting their largest wheat crop since 1991 at 29.8 MMT, according to a recent estimate from Lanworth Inc. Argentina's 2013/14 wheat output could rise 30%, say the USDA. Closer to home the German barley and rapeseed harvests are drawing to a close, according to the German Farmers Union (DBV), who say that the barley crop will come in at 7.8 MMT and rapeseed output up over 14% at 5.5 MMT. 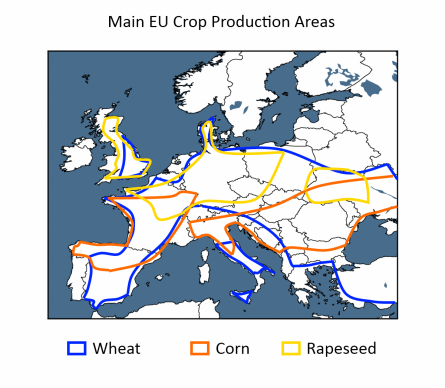 Other trade estimates put the German rapeseed crop even higher, in the 5.75-6.00 MMT region. 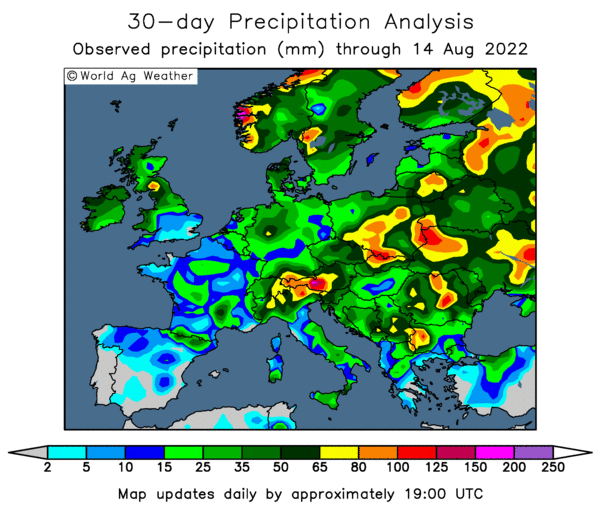 The German winter wheat harvest is under way, but in a relatively early stage. DBV didn't put a production estimate on that. The USDA forecast a 6% rise in wheat output to 23.7 MMT. Hungary's 2013/14 wheat crop is expected to total 5.1 MMT, up 27.5% versus last season, say the Ag Ministry. The pound rose to a 6 week high versus the US dollar, further depressing London wheat, despite a Reuters report suggesting that the general trade guess for the UK wheat crop this year is around 12 MMT, a drop of 10% on last year's disappointing 13.3 MMT output. At least hopes are fairly high that quality should be better than last year. 06/08/13 -- Soycomplex: The USDA announced the sale of 110,000 MT of new crop soybeans to China in some fairly routine business. Remember that China need to buy almost five cargoes of beans every working day of the week if they are to import the 69 MMT in 2013/14 that the USDA currently has them down to need. Private crop forecasts are coming in thick and fast, on an almost daily basis ahead of the USDA's own report due on Monday, and for soybeans they are generally a little lower than the USDA project. Linn Group today estimated the 2013 US soybean crop at 3.226 billion bushels, with yields averaging 42.6 bu/acre. Informa went for 3.266 billion bushels yesterday, Doane Advisory Services said 3.333 billion. A Bloomberg survey went for production at 3.357 billion on yields of 43.7 bu/acre. The USDA are currently at 3.42 billion bushels and 44.5 bu/acre. Celeres estimated Brazil's 2013/14 soybean crop at 85.2 MMT, a near 5% increase on this season's record crop. They said that producers have only forward sold around 35% of next year's crop versus 50% this time a year ago. Goldman Sachs are now projecting soybean prices to fall to USD10.50/bushel within 12 months, versus a previous estimate of USD11.00/bushel. Aug 13 Soybeans closed at USD13.24 1/4, down 5 1/2 cents; Nov 13 Soybeans closed at USD11.67 1/4, down 16 cents; Aug 13 Soybean Meal closed at USD396.00, down USD6.60; Aug 13 Soybean Oil closed at 42.11, down 61 points. Corn: Ideas that the US 2013 corn crop is getting bigger saw new crop Dec 13 slide to its lowest level since late 2010. Lanworth Inc are on day two of a Midwest crop tour. Today they surveyed fields in west central Iowa and apparently found an average corn yield of 207.0 bu/acre. The range of corn yields were said to be 167.0-232.0 bu/acre versus the 5-year average for the state of 169.8 bu/acre. Linn Group estimated the 2013 US corn crop at 14.074 billion bushels and 2013 corn yields at 157.9 bu/acre. Informa went for 14.14 billion bushels, Doane Advisory Services yesterday estimated the crop at 14.269 billion bushels. A Bloomberg survey went for production of 14.036 billion bushels on yields of 158 bu/acre. Goldman Sachs increased their yield estimate from 158 bu/acre to 161 bu/acre. The USDA are currently at 13.95 billion and 156.5 bu/acre. Celeres said that Brazil will produce a record corn crop for the third year in a row in 2013/14, estimating production at 85.1 MMT, coincidentally almost identical to their soybean output number. Taiwan announced a tender for 60,000 MTof optional origin corn for Oct/Nov shipment. Goldman Sachs lowered their 12 month US corn price forecast to USD4.25/bushel versus a previous forecast of USD4.75/bushel. China are said to have approved its first shipment of Argentine GMO corn. Sep 13 Corn closed at USD4.72 1/4, up 3 cents; Dec 13 Corn closed at USD4.59 1/4, down 1 1/4 cents. Wheat: The wheat market closed higher, rebounding from yesterday's lows, on bargain hunting and a pick up in global demand. Egypt bought 120 TMT of Ukraine/Romanian wheat. Iraq picked up 200 TMT of wheat - 150 TMT from Australia and 50 TMT from Canada. Jordan bought 100 TMT of optional origin wheat for Jan shipment. Bangladesh seek 50 TMT of optional origin wheat for Aug/Sept shipment in a tender that closes on Aug 22. Tunisia are tendering for 75 TMT of optional origin feed barley for Sept/Oct shipment. Note though that none of this business is likely to be going America's way. Linn Group estimated the 2013 US total wheat crop at 2.025 billion bushels, including total winter wheat at 1.51 billion, HRW wheat at 770 million, SRW wheat at 535 million and western white wheat at 205 million. Standard Chartered Bank came out with a 3rd quarter wheat price forecast of USD6.60/bushel, with a 4th quarter wheat price forecast of USD6.80/bushel. Their 2013 average wheat price forecast was cut to USD6.93/bushel versus a previous forecast of USD7.24/bushel. China remains bone dry and hot, and winter wheat planting there would normally begin next month. The heat wave there is expected to expand into the North China Plain over the next 2 weeks. Unlike the North Africa and the Middle East, the US is well placed to service any extra demand from that direction. Sep 13 CBOT Wheat closed at USD6.50 1/2, up 5 1/4 cents; Sep 13 KCBT Wheat closed at USD7.02, up 6 1/2 cents; Sep 13 MGEX Wheat closed at USD7.39 1/2, up 5 3/4 cents. 06/08/13 -- EU grains closed narrowly mixed, partially arresting the recent decline, although harvesting reports from France are improving. London wheat closed with front month Nov 13 GBP0.20/tonne lower at GBP159.30/tonne, Jan 14 was also GBP0.20/tonne easier at GBP160.30/tonne and Nov 13 Paris wheat rose EUR0.25/tonne to EUR184.50/tonne. Egypt bought one 60 TMT cargo each of Ukraine and Romanian wheat for September shipment. Since they returned to the market last month all they have bought has been either those two origins or Russian wheat, and even the latter has been priced out in recent tenders. Both cargoes were priced at USD263.25/tonne C&F, which is the UK equivalent of around GBP171.50/tonne including freight. At least these prices are flushing out some buyers. Iraq bought 200 TMT of wheat, with 150 TMT coming from Australia and the remaining 50 TMT from Canada. Jordan also bought 100 TMT of optional origin wheat for Jan shipment. Bangladesh are tendering for 50 TMT of optional origin wheat for August shipment. A Reuters survey of analysts estimated the Russian, Ukraine, and Kazakhstan total 2013/14 wheat crop at 87.0 MMT, up 36% from last year. The same survey pegged 2913/14 wheat exports from the same three leading Black Sea nations at 30.0 MMT, up 22% from 2012/13. The Russian grain harvest is 30.6% complete at 39.6 MMT. The wheat harvest is almost 40% complete, producing 30.7 MT to date, with average yields up 31% on last year at 3.07 MT/ha. The barley harvest is 23.5% done at 4.9 MMT. The early Ukraine grain harvest is already in the barn, producing 21.67 MMT of wheat, 7.13 MMT of barley and almost 2.2 MMT or rapeseed. The wheat harvest is up 37% versus 2012/13. The French grain harvest is achieving "better-than-expected" results as things progress north of Paris, according to a report on Reuters. The early German harvest in the south of the country is said the be good in terms of both quantity and quality. 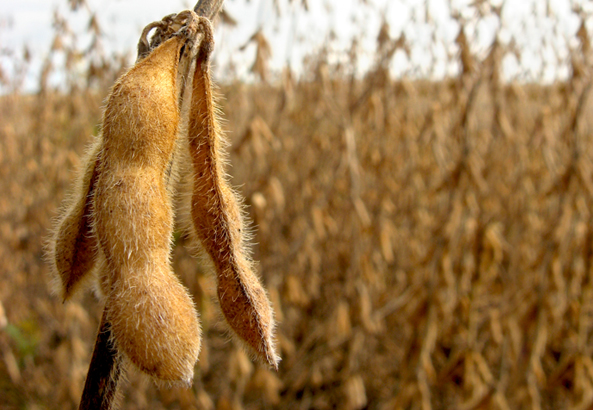 05/08/13 -- Soycomplex: Informa forecast this year's soybean production at 3.266 billion bushels, down from its outlook in July of 3.376 billion and below the USDA's current outlook of 3.420 billion. Doane Advisory Services estimated the 2013 US soybean crop at 3.333 billion bushels vs. the USDA estimate at 3.42 billion. They have the yield at 43.2 bu/acre vs. the USDA estimate of 44.5 bu/acre. China to auction 500 TMT of beans from reserves on Thursday. Safras e Mercado said as of Friday Brazil had sold 84% of their old crop beans vs. 95% a year ago and vs. average of 82%. They said as of Friday Brazil has sold 17% of their new crop beans vs. 39% a year ago and vs. 15% average. Abiove estimated Brazil’s ‘13/14 bean exports at a record high 39.5 MMT vs. previous estimate of 39.0 MMT. They have Brazil’s ‘13/14 bean production at a record high of 81.6 MMT. The USDA reported good/excellent soybean conditions up one point to 64%. Aug 13 Soybeans closed at USD13.29 3/4, down 1 1/4 cents; Nov 13 Soybeans closed at USD11.83 1/4, up 1 3/4 cents; Aug 13 Soybean Meal closed at USD402.60, down USD9.50; Aug 13 Soybean Oil closed at 42.72, up 34 points. Corn: Rainfall in the Midwest over the weekend was a little disappointing, but there's a good chance for rains over the next two weeks. Informa pegged 2013 US corn production at a record large 14.140 billion bushels, down from its forecast in July for 14.259 billion and above the U.S. Department of Agriculture's current outlook of 13.950 billion bushels. Doane Advisory Services estimated the crop at 14.269 billion bushels, using a yield of 161.2 bu/acre vs. the USDA estimate of 156.5 bu/acre. Reuters reported that Green Plains Renewable Energy will temporarily shut down nine of its 10 ethanol plants for maintenance during the next two months as corn supplies tighten ahead of the U.S. harvest. Crop progress from the USDA after the close showed 86% of the crop silking versus 89% on average. Good/excellent improved a point to 64% - last year that was only 23%. Sep 13 Corn closed at USD4.69 1/4, down 6 3/4 cents; Dec 13 Corn closed at USD4.60 1/2, down 3 1/4 cents - it's lowest level since 2010. 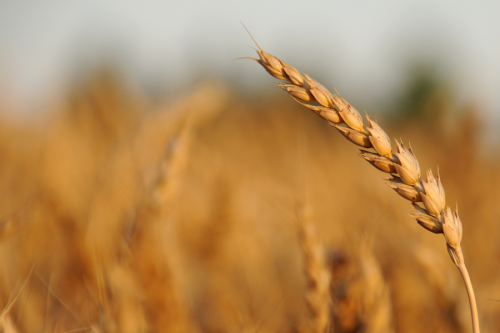 Wheat: Wheat closed sharply lower. Ukraine's state-run GPZKU company announced that they are to export 200 TMT of wheat to Bangladesh in ‘13/14. Reuters reported that Informa forecast 2013 U.S. winter wheat production at 1.547 billion bushels, up from the July outlook for 1.476 billion, and pegged hard red winter wheat output at 797 million bushels, above its previous forecast for 730 million. The firm pegged soft red winter wheat output at 540 million and spring wheat production at 520 million. Morocco's government said that it had bought 160 TMT of soft wheat on the domestic market. 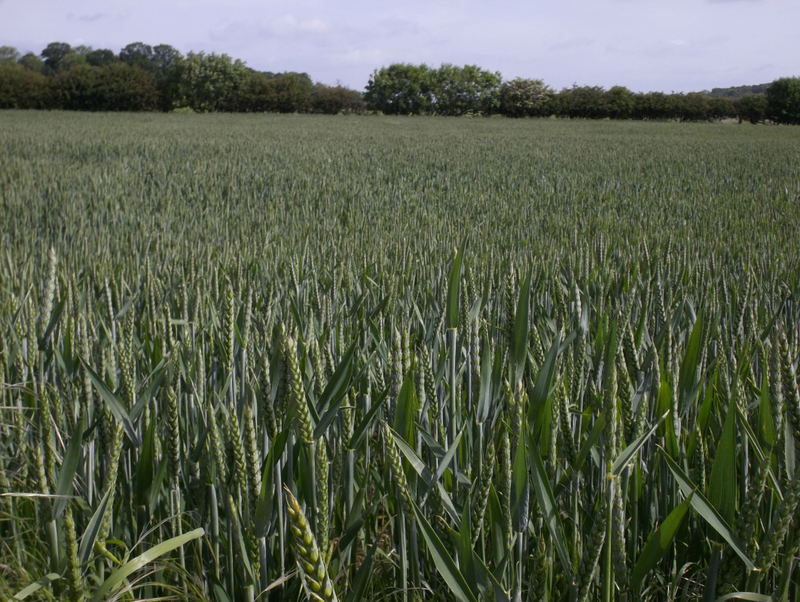 They are expected to import less wheat in 2013/14 following a bumper harvest. Egypt is tendering again tonight. After the close, the USDA said that 87% of the winter wheat crop is harvested, just above the 86% average. Spring wheat condition ratings were unchanged at 68% good/excellent. Sep 13 CBOT Wheat closed at USD6.45 1/4, down 15 1/4 cents; Sep 13 KCBT Wheat closed at USD6.95 1/2, down 11 1/4 cents; Sep 13 MGEX Wheat closed at USD7.35 1/2, down 5 3/4 cents. 05/08/13 -- EU grains closed lower to start the week on harvest pressure and the outlook for big crops in many places around the globe. On the day both Nov 13 and Jan 14 London wheat closed GBP3.20/tonne lower, with front month Nov 13 slipping under GBP160/tonne to close at GBP159.50/tonne. Nov 13 Paris wheat settled EUR2.50/tonne lower at EUR184.00/tonne. The Russian grain harvest will total 86 MMT, including 51 MMT of wheat, according to SovEcon. APK Inform say that Russia will harvest 52.1 MMT of wheat this year, an increase of 38.1% compared with last year. Grain harvesting so far stands at 37.6 MMT, including 29.7 MMT of wheat. 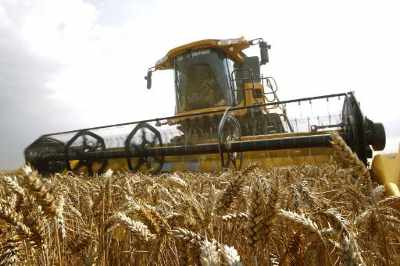 Yields on wheat currently average 3.07 MT/ha versus 2.37 MT/ha this time a year ago. Russia exported over 2.4 MMT of grains in July (including 1.9 MMT of wheat), according to customs data, up versus just over 2.0 MMT in July 2012. Ukraine's early grains harvest meanwhile is winding down, with 29 MMT already in the barn. The prospect of a record US 2013 corn crop grows ever nearer, and it is expected to be a record by some considerable distance, with some estimates coming in now well in excess of 14 billion bushels. CBOT Dec 13 wheat fell to contract lows on ideas that a USD2.00/bushel premium to corn is simply too much and will sap demand for wheat. Although corn has been a premium to wheat at some points during the last 6 months, due to last year's sharp drop in US corn production, a USD1.00-1.50/bushel premium could perhaps be considered "normal". It took a major supply scare in corn last year to push it to parity or even a small premium to wheat, it looks like wheat needs some kind of similar storyline if it is going to hold onto a USD2+ premium to corn. At the moment it hasn't got one.